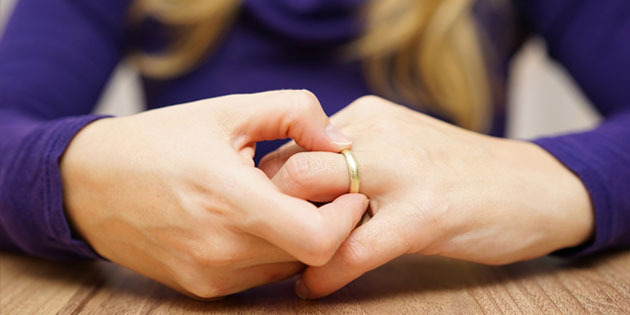 The highest percentage of divorces are filed in January! Yep. And January is right around the corner. (Gives a whole new meaning to “New Year, New You”, right?) One of the things we teach our students is how to work with recently divorced clients looking to do love differently the second time around. As the New Year approaches, love experts tend to get a surge of recently singled men and women ready to get back in the dating game with intention and support. But many couples will wait til after the holidays to announce a divorce or separation, especially if they have children. So while the holidays may seem quiet in terms of divorced singles, this is actually a smart time to start planting the seeds for how valuable your insights, guidance, and expertise really are. Many couples are unsure how to talk to their kids about divorce. Afterall, as parents, we don’t get a manual and play-by-play guide to know exactly what to do and say when life’s moments inevitably happen – either good or bad. Many matchmakers and dating coaches have backgrounds and extensive education in family therapy, social work, psychology, etc. So if you have worked with families before or have experience working with divorced singles, then this is a great time to offer your support and services. You can be a trusted voice to know how to navigate and anticipate what’s ahead in January and how to use the holidays to create a safe and supportive environment. In order to be successful in business, you have to constantly be getting new clients. That’s what it’s all about. And it’s also about nurturing those relationships instead of just constantly “selling” at them all day, every day (and every email). One of the best avenues to getting new clients is to make friends with the divorce attorneys in your area. Make a point to meet with them and explain how you can work together to help their clients. Together, you can help them understand their options as they become single again, the dating landscape, and be a source of guidance when they are ready to start dating again. As a divorce attorney, usually your work ends when the papers are signed. But there is such uncharted opportunities to cultivate relationships with love experts in your area in order to offer your clients a better way to get back in the dating game. You can even offer a session with a client after their divorce to begin this conversation. By forming these strategic partnerships, you create a community that’s committed to helping people find and keep healthy, loving relationships. At the same time, you are helping them understand that divorce isn’t the end of their lives or a failure. It can be a time of renewal, strength – a rebirth of sorts to go after your dreams and goals in a bigger, more vivacious way. That’s why there’s no better time than the holidays to remind people of their personal power, strength, and sparkle. Have more questions about helping your divorced clients? Email us a quick message with your question and we’ll get back to you (or leave a comment below!). Here’s to spreading the love this Christmas!